Baseball World Cup in Taichung. 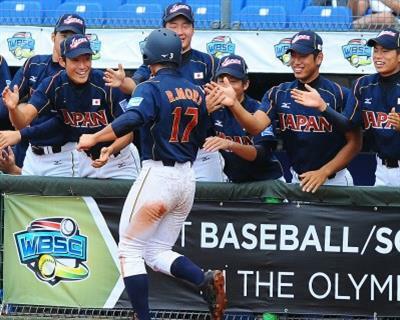 Japan demonstrated their power in an impressive victory over Cuba. The United States then completed a dramatic comeback in the eighth to edge out Chinese Taipei. Both teams improved to 4-0 in the semi-final round robin and already have secured one of the first two spots in the standings. On Saturday evening they will meet in the last semi-final game in a finals preview, which will decide home field advantage for Sunday. In the third semi-final round robin game on Friday afternoon Korea had shut out Venezuela. On Sunday Korea will take on Chinese Taipei with the winner going to the Bronze Medal Game. Venezuela squares off with Cuba, which already has been qualified for the Game for Third Place.